Why start your procurement process from scratch when we already have the research and insight to help you make better supplier decisions much faster? The HR landscape is transforming rapidly; whether it is the changing workforce or changing work itself, the advent of digital HR, new Cloud solutions and Artificial Intelligence, will only continue to accelerate change faster. Cloud HCM, next gen talent acquisition and recruitment, talent management, AI, employee experience, analytics…with unique European market analysis, vendor research and corporate insights, Fosway is the only industry analyst that can help European companies make the right next gen HR and talent choices. Learning is changing at a pace never seen before. Learning now must be digital and agile, as well as relevant, engaging, and impactful. Digital learning, learning experiences, next gen LMS, mobile, video, microlearning, social, AI, augmented and virtual reality, are part of a complex ecosystem of next gen trends and basic corporate L&D needs…with unique European market analysis, vendor research and corporate insights, Fosway is the only industry analyst that can help European companies make the right next gen learning choices. If you are interested in Talent Acquisition, this is in the later stages of research and will be launched formally in 2019. Contact us to discuss further. Fosway works with some of Europe’s largest organisations including BP, HSBC, PwC, RBS, Sanofi, Shell, and Vodafone. We understand the realities of next generation HR and learning strategies and decisions within complex corporate settings and provide independent advice and analysis based on our deep insights. 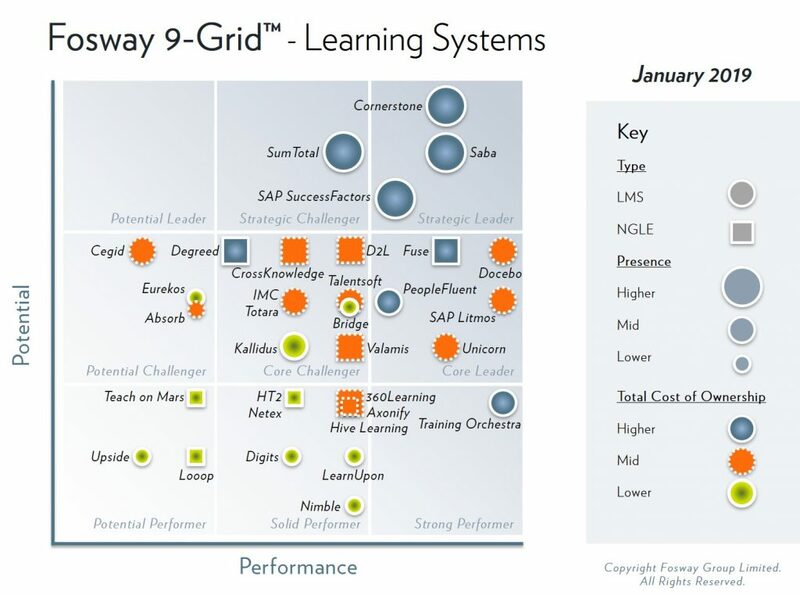 Referencing the 9-Grids™ or our European analyst research is a great place to start when evaluating current suppliers, planning your future or looking for new tools and technology. But what you see here is just the tip of the iceberg. As well as accessing the best existing European research and market insight, when you work with us you also have the security of knowing that we are completely independent and don’t have a vested interest in the outcome. Why start your procurement process from scratch when we already have the research and insight to help you make better supplier decisions much faster? Whilst providing the best analysis and accelerating corporate decisions will always be our core focus, we also believe we better serve our corporate clients by helping vendors to understand how they can perform better too. As well as an open and extensive core vendor research process, we have created the Fosway Vendor Programme, a structured engagement model for vendors seeking better insights on the EMEA market, and a platform for Fosway services to help improve vendor performance.